An article in the May-June 2017 edition of the Harvard Business Review, “What Sets Successful CEOs Apart,” confirms the Flippen Group’s findings in working with executive leaders of some of the world’s largest and most respected firms over the last two decades. The goal of the 10-year study was to “identify the specific attributes that differentiate high-performing CEOs.” The authors identified four specific behaviors that correlated to success in their sample of 2000 CEOs. Deciding with speed and conviction. Engaging for impact. We measure the leader’s ability to “set a clear course and get buy-in” by looking at two behavior scales: “Need to Nurture” and “Deference.” These scales provide critical insight into the leader’s ability to connect with the team and willingness to listen to other viewpoints. It’s not about consensus building. Rather, effective leaders listen carefully, make quality decisions, and bring others with them. Adapting proactively. We measure the leader’s ability “to adjust to a rapidly changing environment” by looking at the “Need for Change” scale. This scale provides critical insight into the leader’s ability to both instigate and embrace change without losing bearing or focus. 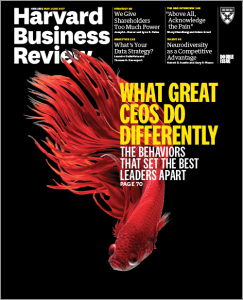 As the HBR article noted, leadership behavior matters. Our work with executives and teams begins by creating awareness. Then, we help build highly personalized, immediately actionable plans to help leaders develop new patterns of behavior and achieve their personal and professional goals. 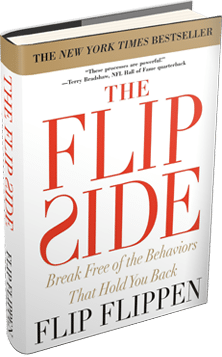 To learn how you and your team can experience the Flippen Profile and benefit from this research on the four behaviors of top-performing CEOs, contact us.